Biomechanics is an interdisciplinary field that utilizes principles of mechanics applied to the human body in order to improve treatment of musculoskeletal injuries. Four basic topic areas of biomechanics will be explored in this chapter and include statics, dynamics, mechanics of materials, and applications. Statics and dynamics utilize basic laws of physics to analyze the effect of external loads on the body, while mechanics of materials further assess changes at the tissue level and quantifies the properties of tissue that are vital to function. 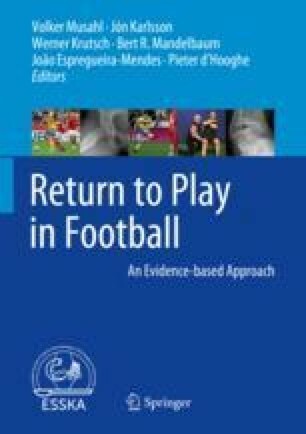 This chapter will provide readers with a better understanding of biomechanics and how it can be applied to improving diagnosis, advancing surgical treatment, and monitoring rehabilitation progress of athletes for earlier return to play.